Takeaway: Boost the performance of your garden with the latest products available for modern growers, featuring items from Aprilaire, Hydrofarm, Sun System, Climate Control Solutions, SANlight, and Arborjet. These products are all #GoodtoGrow. 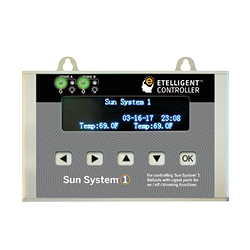 The Sun System 1 Etelligent Digital Lighting Controller enables the grower to control up to 400 fixtures. 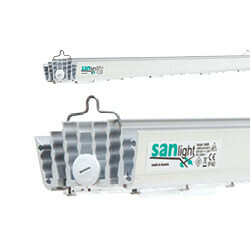 It features an industry-first ability to control both the Sun System 1 1,000W and Sun System 1 LEC 315W Etelligent ballasts with the same controller, operating on separate channels. This two-channel controller allows daisy-chaining up to 200 fixtures per zone. It enables complete control of your growing environment with timed on/off switching, sunrise/sunset, accurate temperature readings with dual thermal probes, and thermal-threshold auto dim-shutdown for additional protection. The complete kit includes one Etelligent Controller, one universal power adapter five-foot (1.5-meter) cable, two 16-foot (five meter) signal wires with ferrites for connection from controller to ballast, and two 16-foot (five meter) temperature probes. 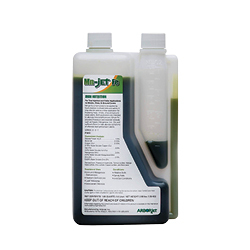 Arborjet Mn-jet Fe offers a balanced source of micronutrients for alleviating interveinal chlorosis. The new formulation contains two per cent water soluble iron, two per cent water soluble manganese, one per cent soluble potash, 0.5 per cent water soluble zinc, 0.1 per cent water soluble copper, and 0.1 per cent boron. These are higher levels of micronutrients than comparable products. Mn-jet Fe may be applied as formulated or diluted with water. Its liquid formulation mixes easily into solution and may be applied through both micro- and macro-infusion equipment, or as a foliar spray for shrubs and groundcovers. Test treatments have shown Mn-jet Fe significantly reduces the impact of interveinal chlorosis in trees from just one treatment. Mn-jet Fe may be used at a 1x rate in the summer or up to 3x rates in the fall. The Climate Control Ozone Pro System is the key to ensuring your crop has fresh, clean, purified water every time you irrigate. This greenhouse water treatment systems increases plant health reliance by killing any bacteria or pathogens in the water, and produces a better overall crop yield. The new CCS-SW80 Plasma Ozone Technology is ideal for sterilizing irrigation waste water for greenhouse flower, vegetable crops, and the medical marijuana industries. 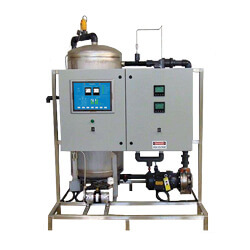 The Ozone Pro systems are available for water flow rates from 10 US GPM to 1,000 US GPM. Each system is custom designed to suit your specific grower needs and water flow rate. It saves 30 per cent on water usage, 40 per cent on fertilizer costs, and removes bacteria and recycles your nutrient water. Aprilaire humidity control systems are tailored to the specific, tightly monitored applications required by indoor growers. 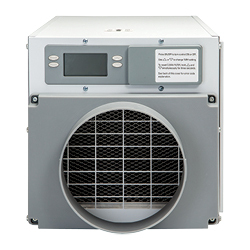 Aprilaire has been an innovator and leader in climate control for 60 years, with a reputation for high-quality, reliable products. With equipment designed for both the growing and curing stages, the line includes dehumidifiers ranging in size from 70 pints per day to 130 pints per day, humidifiers, touchscreen WiFi-enabled programmable thermostats, digital controllers, and more.